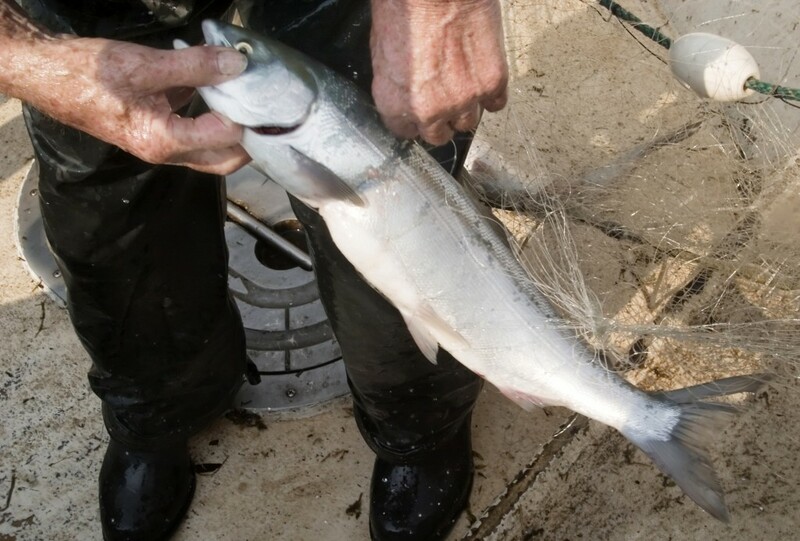 As a drought tightens its grip on the Pacific Northwest, burning away mountain snow and warming rivers, state officials and Native American tribes are becoming increasingly worried that one of the region’s most precious resources — wild salmon — might disappear. 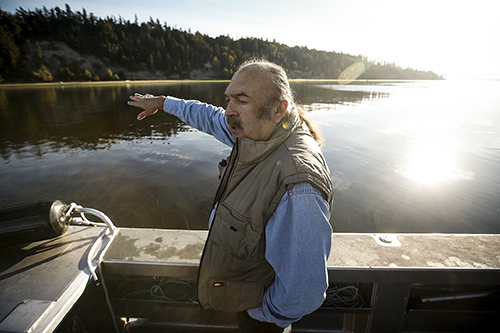 Native Americans, who for centuries have relied on salmon for food and ceremonial rituals, say the area’s five species of salmon have been declining for years, but the current threat is worse than anything they have seen. “I grew up always having salmon,” said Lorraine Loomis, fisheries director for the Swinomish Indian Tribal Community, whose culture is so intertwined with the migrating fish that they’re called the “People of the Salmon.” Salmon feasts once marked every phase of life on the reservation north of Seattle — naming ceremonies, weddings, funerals, memorials to the dead. Now they are few, she said. 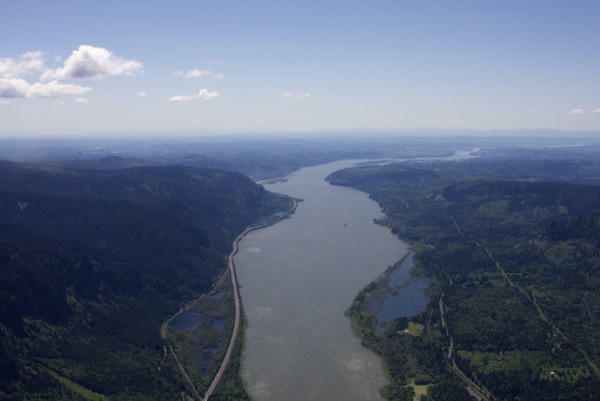 “We’re very worried,” said N. Kathryn Brigham, chair of the Columbia River Inter-Tribal Fish Commission in Portland, Ore., which helps manage fisheries for the Yakama Nation and the Warm Springs, Nez Perce and the Umatilla tribes in Oregon, Washington and Idaho. An estimated quarter-million salmon, more than half of the spring spawning run up the Columbia River, perished, probably because of a disease that thrives in warm water and causes gill rot, officials said. Normally cool streams in the river basin are 13 degrees warmer than the 60 degrees preferred by salmon, Brigham said. Salmon in the Northwest come in a variety — chinook, pink, coho, sockeye and chum — and that diversity has helped them survive for eons. When they hatch, some babies stay in place to eat and grow before migrating to the Pacific Ocean. Others swim to the ocean right away. Adults stay in the Pacific for three to seven years before returning to streams where they hatched by swimming through Puget Sound in Washington or up the Columbia River, which runs from Alberta, Canada, to Oregon. But as the climate warms, more salmon are starting to move farther north to Canada, experts say. Swimming to cooler waters in the north signals a major shift in behavior for the fish, and public officials are watching the trend with dread. In addition to their significance to Native American communities, the salmon are worth more than $1 billion annually to each state’s sport fishing and tourism industries, which support tens of thousands of jobs. Oregon and Washington officials recently closed dozens of recreational and commercial fishing spots. The U.S. 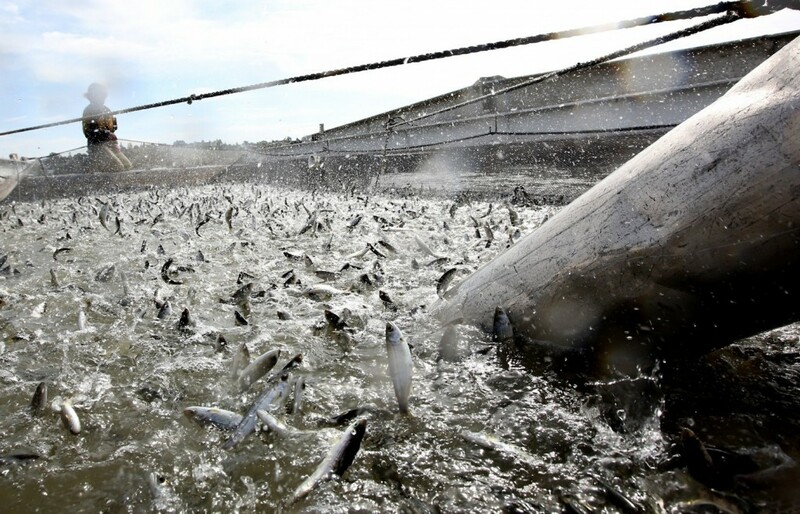 Fish and Wildlife Service trucked 160,000 salmon 100 miles from a hatchery in central Oregon to a cooler part of the Columbia River. 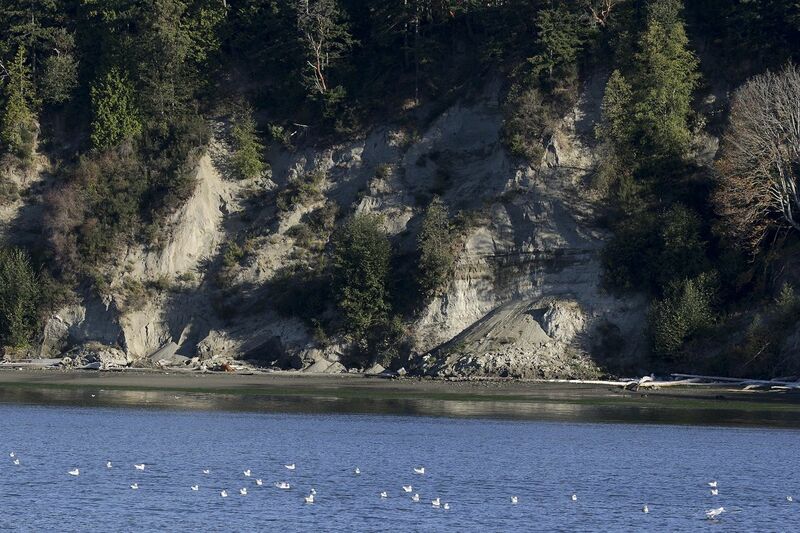 As more fish vanish, the Swinomish, whose reservation skirts five bays, rely on handouts from the state and tribal councils. They accept 5,000 to 10,000 pieces per year to freeze, Loomis said. Off the coast of Oregon, wild chinook salmon are gathering for a fall spawning run up the Columbia, but experts say there’s a good chance many will never arrive to lay eggs in the streams and brooks where they hatched several years ago. Besides facing long-standing hurdles such as dams, the fish now will encounter a large patch of warming water. U.S. 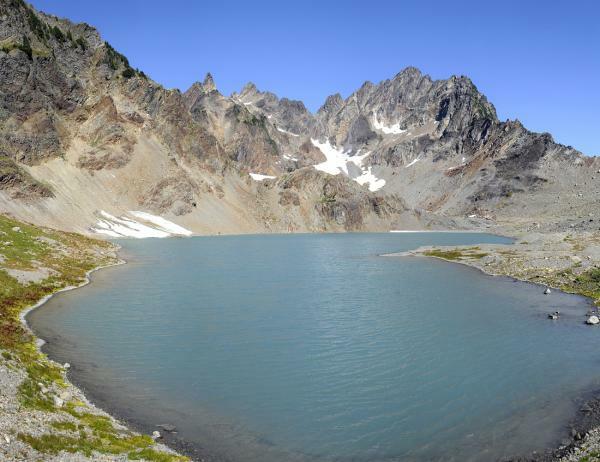 Fish and Wildlife Service biologist Rich Johnson said the cooler ocean water probably will signal to the salmon that it’s okay to migrate up the warmer Columbia. 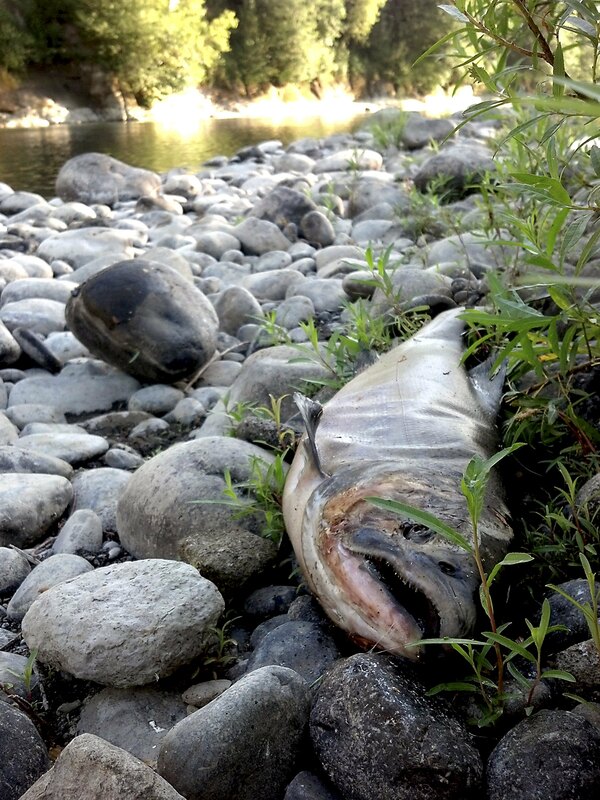 Earlier this year, clusters of dead and dying sockeye salmon were discovered in Oregon’s Lower Deschutes River, a Columbia tributary. Officials counted at least 100 fish but speculated that scavengers ate dozens more. Scientists fear the chinook will suffer the sockeye’s fate. Die-offs mean that fewer eggs will hatch and hatchlings might not survive the warm water. “The bleakest, most dire outcome is if this drought is sustained for a couple more years like California,” said Greg McMillan, science and conservation director for Oregon’s Deschutes River Alliance. Some populations “could go extinct,” he said. But wild salmon have an array of survival tools. The species do not all migrate at the same time, and their hatchlings do not all behave the same. Some remain in shallow streams two years after hatching, while others head for the Pacific. Quinault Nation President Fawn Sharp appeared before the House Interior Appropriations Subcommittee in Washington, D.C. on March 24 to request federal funding to support the relocation of homes, public buildings and schools out of a tsunami zone in the coastal village of Taholah. After her House subcommittee testimony, Sharp – a University of Washington-educated lawyer and former state administrative law judge – talked with ICTMN about the summit and what she believes the next steps must be to stem the tide of climate change and the devastation that would follow. What are some of the extreme examples of climate change that were presented at the meeting? As we have known for some time, our ocean waters are acidifying due to increased pH levels caused by carbonic acids that result from the release of carbon dioxide into the atmosphere. It’s estimated that up to 40 percent of the carbon released by humans enter the ocean, as well as rivers and lakes. Generally speaking, there is nothing new about this. But the increased levels of carbon released by humans since the industrial age has had major impacts and, as population has expanded in the U.S. and elsewhere, the increased amount of automobile emissions as well as other fossil fuel emissions have led to ever-increasing change in the form of water temperature increases and acidification. So should this concern us? It absolutely should, because it is impacting the ecosystem. People should never think they live in some form of protected bubble, or that they can ignore the environment and get along just fine. People are just as dependent on a healthy ecosystem as every other living creature on Earth, and anytime any specie is in danger, we are affected. But, whether due to fear of losing their job or a feeling of helplessness or some inaccurate information they might have heard somewhere, far too many people do nothing about it. They ignore it or even deny it. That’s just not good enough. Everyone who lives on our Mother Earth has a responsibility to protect her. Everyone who drinks water in one form or another has a duty to assure it is pure. And every person who breathes God’s air is responsible for its quality. The ocean is warming. It has become acidified. The sea level is increasing, increasing the intensity of storm surges, as well as flooding, erosion, forest fires and habitat loss. Glaciers have melted or are melting, causing rivers and lakes to warm and making them uninhabitable for fish. We feel all of these impacts at Quinault Nation. Our Mount Anderson glacier is gone. It was there for thousands of years and over the past few years it simply melted. That is warming the water and making salmon restoration more challenging. What are some innovative ways tribal nations are responding to the challenges presented by climate change? There are innovative approaches being used or planned by some tribal nations but the bottom line is that Mother Nature’s ways are best. Fish and wildlife need a healthy environment, just as people do. Securing those resources and protecting them for future generations requires respect for the environment. It’s an old tribal value to take only what you need from Nature to survive, and use all that you take. It’s also an old value to base the decisions one makes today on the impacts they will have seven generations from now. As my very good friend Billy Frank Jr. used to say, “You have got to see the big picture.” Those who rush to drill every drop of oil they can now so they can get as rich as they can, regardless of the impact on the environment, do not see the big picture. Those who neglect the environment when they use pesticides or buy high gas-consumption cars don’t see the big picture. Those who neglect instream flows in their quest for irrigation water or build dams on rivers simply do not see the big picture. But to answer your question, there are many ways that tribes are being innovative in responding to the climate change problem. This is probably the biggest environmental problem that exists in the world today. 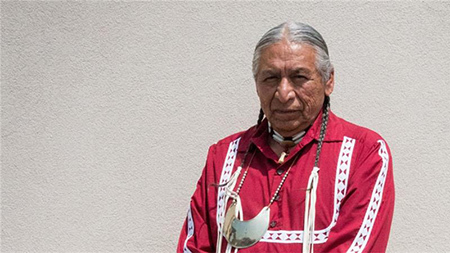 So tribes have been gathering, as nations, on a national and international scale to share ideas, consolidate plans and garner strength in their efforts to have a strong voice in their call for the countries of the world to change their ways. We want them to stop poisoning the planet, stop killing all the animals and plants and stop destroying all the habitat. We have been working with the United Nations and other international organizations to achieve the level of recognition the Indigenous Peoples of the world deserve. We have reached out and been a part of many efforts designed to see solutions to climate change. I served on the Governor’s Carbon Emissions Task Force all summer long as we developed a gas tax plan for the state, which is now being considered in the legislature. 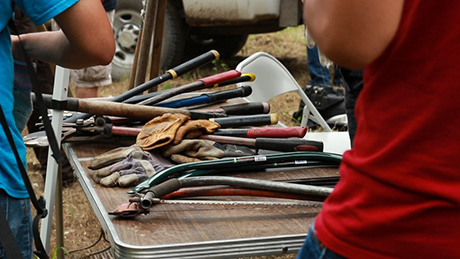 Virtually every tribe in the state is involved at some level in protecting, enhancing or restoring habitat. Quinault has been for many years. Those efforts are constantly innovative in their approach – whether our scientists are developing new ways to place trees in the river to regain natural hydraulics in the system or devising new ways to place gravel for spawning habitat. We invest in our science and in our river, lake and marine restoration and protection programs because it supports our future, it is true to our heritage and because it’s the right thing to do. What will ATNI do with the information that was presented at the climate change summit? One, begin to identify Pacific Northwest Tribal needs for climate change and organize tribes regionally to support increased funding, technical support, and capacity to address those needs. Two, identify strategies to promote and protect tribal sovereignty and tribal resources. 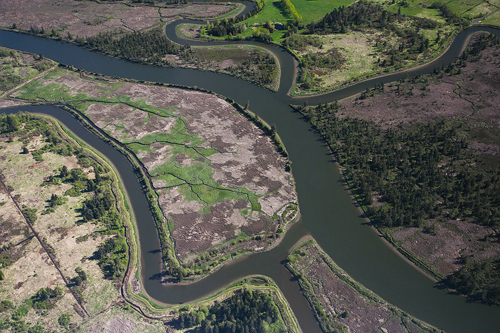 Four, coordinate Pacific Northwest Tribes’ actions on climate change into a cohesive and effective strategy in order to inform regional, national, and international policy. 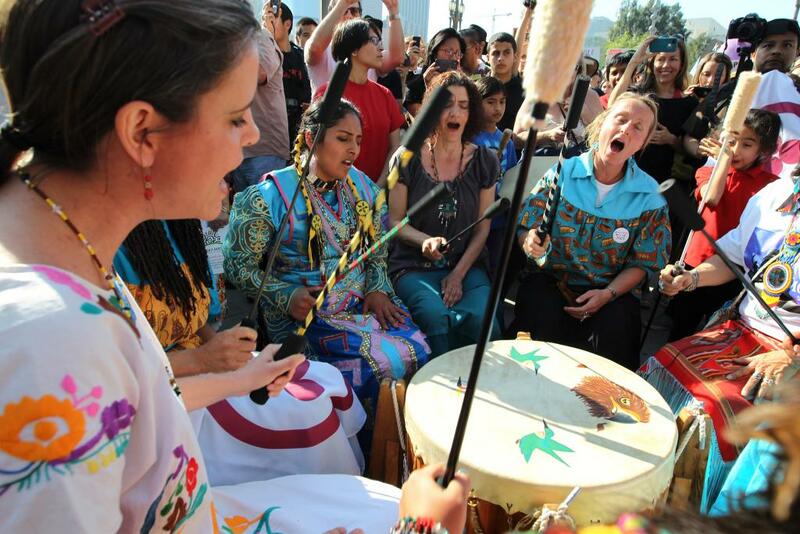 Five, adopt a resolution at ATNI’s May 2015 convention to bring climate change issues, policies, and strategies to the National Congress of American Indians national convention. In addition to the outcomes of this summit, the Affiliated Tribes of Northwest Indians support the findings of the State, Local, and Tribal Leaders Task Force on Climate Preparedness and Resilience established by Executive Order 136531. How are tribal nations seeing the effects of climate change, perhaps in ways that people outside of Indian country are not seeing them? 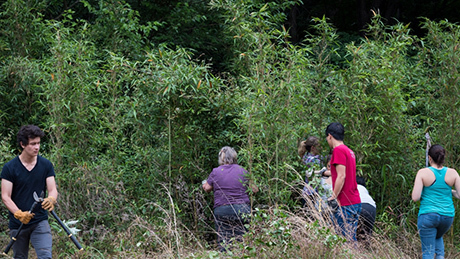 Climate change is expected to significantly alter the ecology and economy of the Pacific Northwest, and tribes and Native communities are among the most climate-sensitive groups within this geographic area. Models predict warmer temperatures, more precipitation as rainfall, and decreased snowfall over the next 50 years which will directly affect the abundance of culturally significant foods, such as salmon, deer, root plants, and berries. These foods are important for ceremonies and subsistence, and access to traditional hunting, fishing, and gathering sites is guaranteed by treaty, constitution, or other agreements with the federal government. Increasing the climate resilience of tribal governments and Native communities is critical to ensuring access to resources protected by right and vitally important to the cultural existence and economic vitality of these communities. Tribes must proactively begin to address these impacts, assess their vulnerability, and develop adaptation strategies. 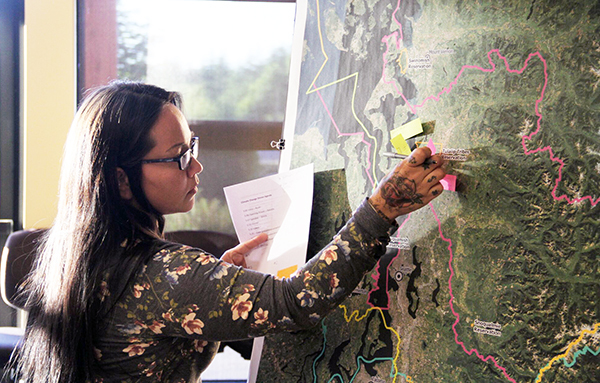 A few Northwest tribes are developing their internal technical, legal, and policy capacity to comprehensively address climate change impacts – however, much more work is needed. Although many tribes have been involved [in] habitat and climate change-related efforts, less than 5 percent of tribal governments – 25 [federally recognized] tribes out of 566 – nationwide have developed climate change vulnerability assessments or adaptation plans. What action does ATNI want to see taken in order to see some positive impacts immediately? Funding of Northwest tribes is critical. The principal funding source for Tribal Climate Change is the Bureau of Indian Affairs. 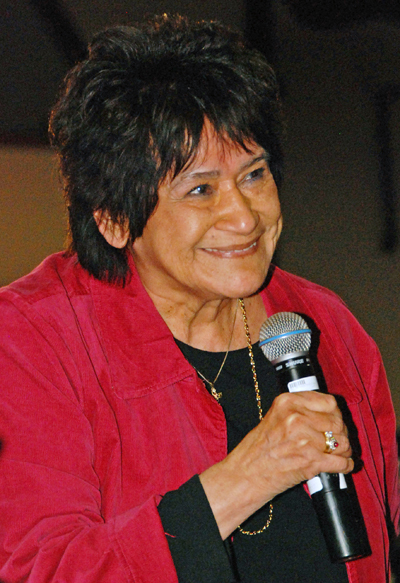 In fiscal year 2013, the BIA had only copy million allocated to tribal governments nationwide. In fiscal year 2014, there was to be copy0 million appropriated for Tribal Climate Change programs, however those funds have either been re-appropriated within the Department of the Interior or have not yet reached tribal governments. The ATNI-member tribes are seeking an increase of $50 million for the BIA Climate Change Program for fiscal year 2016 and beyond. Support is needed for tribes to prepare for the unique impacts they face as a result of climate change. 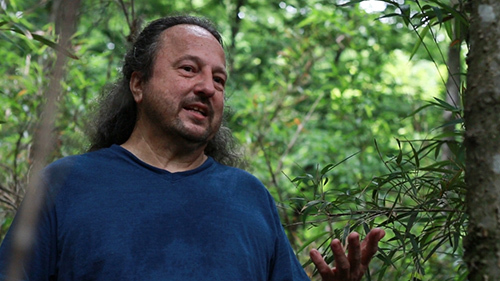 The federal government must fully incorporate its government-to-government relationship with tribes and Alaska Native communities into existing programs and activities that relate to climate change by enhancing self-governance capacity, promoting engagement of state and local governments with tribal communities, and recognizing the role of traditional ecological knowledge in understanding the changing climate. Pacific Oysters are most vulnerable to corrosive waters during their first few days of life at the time when forming shells are critical to their survival. 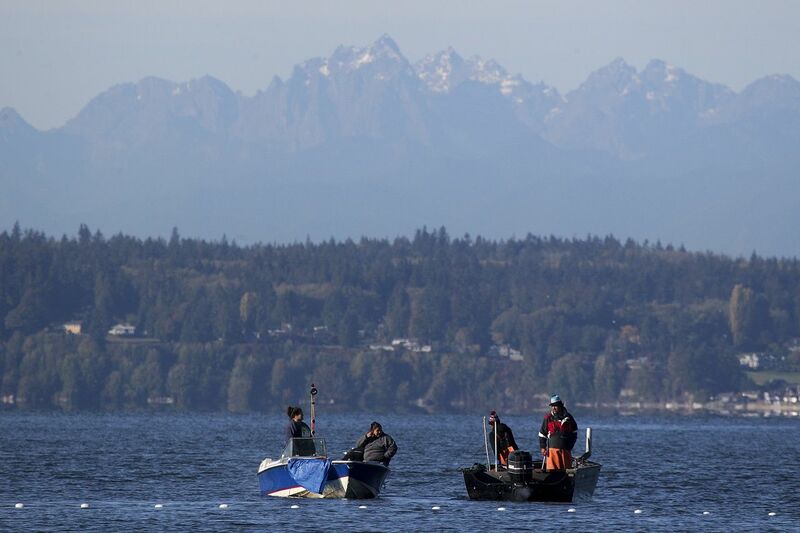 The Pacific Northwest faces a higher risk of economic harm from ocean acidification than other parts of the country, according to a new study released Monday. 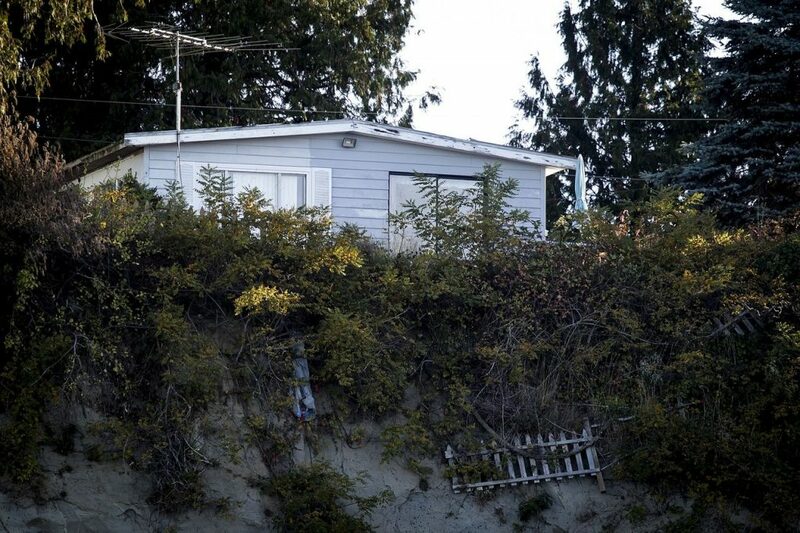 The study, published in the journal Nature Climate Change, found a “potent combination” of risk factors along the coasts of Oregon and Washington. The region has cold ocean water that absorbs carbon dioxide more readily than warmer water, and it has upwelling ocean currents that bring corrosive water to the surface. Meanwhile, the Northwest also has a well-developed shellfish industry that produces more than $100 million a year in sales and supports thousands of jobs. Shellfish hatcheries in northern Oregon supply oyster larvae to the entire region’s aquaculture industry. George Waldbusser, an ocean science professor at Oregon State University and co-author of the study, said it was the first time scientists analyzed social vulnerability as well as the natural hazards of ocean acidification. Waldbusser said while ocean upwelling does create a “hot spot” for acidification in the Northwest, the region also has a lot of resources within universities and marine labs devoted to mitigating the negative impacts on the shellfish industry. Study co-author Julie Ekstrom at the University of California-Davis said the risks to the Northwest shellfish industry are already fairly well known. “Ocean acidification has already cost the oyster industry in the Pacific Northwest nearly $110 million and jeopardized about 3,200 jobs,” she said. 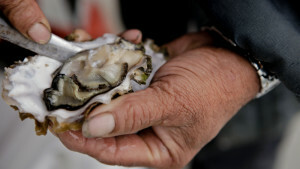 A major oyster die-off in Oregon from 2006 to 2008 called attention to the problems acidic water can cause for developing shellfish, who depend on calcium carbonate to build their shells. Ocean acidification reduces carbonate in the water, making it harder for shellfish and corals to survive.